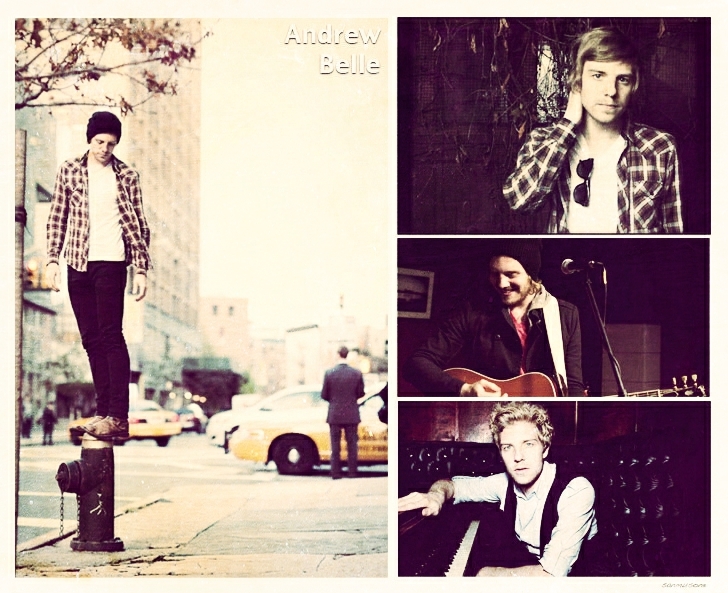 Andrew Belle is an American singer-songwriter. Andrew (born Drew Fortson) is originally from Wheaton, Illinois. Andrew moved to Nashville in 2009. He grew up listening to bands like Third Eye Blind, Counting Crows, and The Verve Pipe, and looks to these bands for musical inspiration. Andrew began his musical career towards the end of his time at Taylor University in Upland, Indiana. During this time, he played with numerous local bands. Upon graduation, he launched his solo career in Chicago, performing at various local restaurants and venues, including Rockit Bar and Grill, Elbo Room, SPACE and Schubas Tavern. He is currently touring clubs and universities across the country, and is also a member of the critically acclaimed national tour Ten Out of Tenn. He has shared the stage with numerous artists including Ben Folds, Brian Vander Ark (The Verve Pipe), Greg Laswell, Barcelona (indie rock band), and Boyce Avenue (band). Andrew released his debut EP All Those Pretty Lights in September 2008, containing songs featured in hit TV shows including CW’s “90210”, MTV’s “The Real World”, CBS’s Ghost Whisperer, and E!’s “Keeping Up with the Kardashians”. His debut full-length album The Ladder was released in February 2010. His song “Sky’s Still Blue” was featured in a Microsoft commercial/documentary promoting the Windows 7, Windows Live and Windows Phone 7 exosystem. It was made available as a free download from Microsoft. Andrew was named “Best Breakout Artist, Chicago” by MTV in 2009. His music and vocal stylings draw comparisons to Coldplay, The Fray, and John Mayer. He recently announced in February 2012, that he is engaged and plans to marry in June of 2012. He also released, THE DAYLIGHT EP, on Tuesday February 28, 2012 on iTunes and other major digital music stores. The CD can be purchased on Amazon and on his website. Also, the digital version contacts 2 bonus tracks – live versions of “In My Veins” and “The Ladder” recorded during Andrew’s touring last year. I have been surfing online greater than 3 hours today, yet I by no means found any interesting article like yours. It is lovely value sufficient for me. In my opinion, if all web owners and bloggers made just right content material as you did, the web will probably be much more useful than ever before.